That seems to impress and shut him up. I told him that like Taylor Swift, he was featured in TIME magazine. He’s that big! And for a girl who is not particularly attuned to music nor understand mandarin actually listens to his song – there must be something about him. What is that? Unique talent….just like the Boyfan. 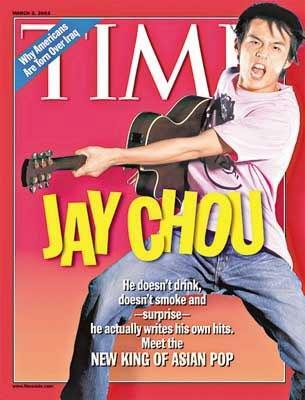 The difference between my boy and this mandopop star is he makes magic with numbers instead of notes, have an affinity with computer instead of guitar. Oh I love talented, good boys with a streak of genius!